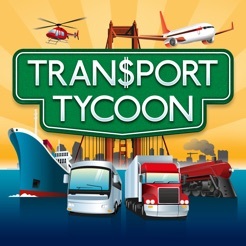 Transport Tycoon is a Universal App compatible with iPhone 4 and newer, iPod touch 4th generation and newer, and iPad 2 and newer including iPad Mini. iOS 6.0 or above recommended. 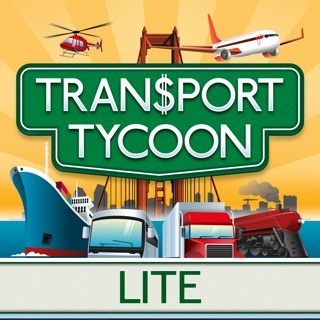 This is one of the best mobile transport sim-like games I’ve ever played. 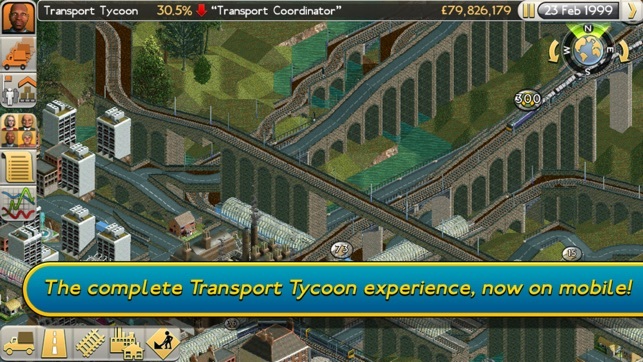 Though there are still some downsides, like not being able to delete a save; I can’t remove roads if they’re claimed by a town, even if I put the road there in the first place; not being able to delete roads of a competitor if they go bankrupt; the fact that I can’t build tracks across tracks built by a competitor; and probably the most annoying one, only having 1 bridge type that can go up and down. But other than that, its still a great game. I hope to see more updates to this in the future. 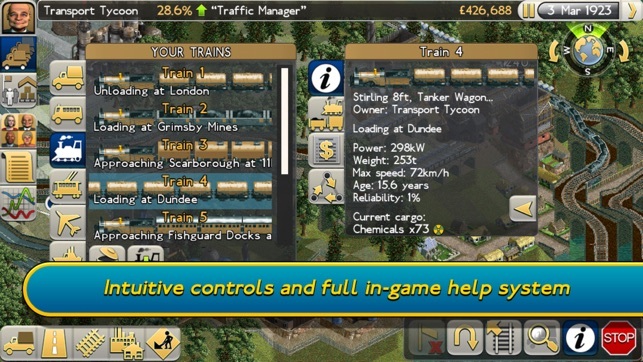 Railroad tycoon 2 is one of my favorite games ever. 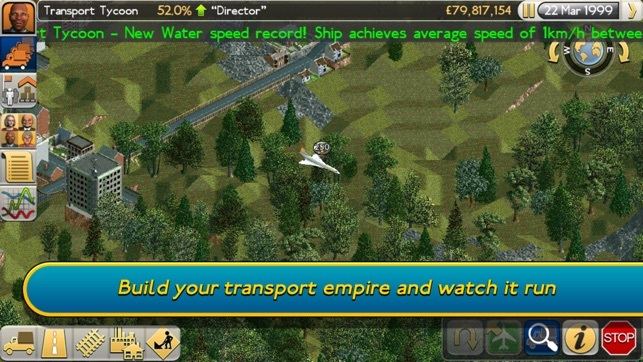 This is basically the same game with some added stuff like buses, boats, and planes. However, the interface on the iphone is extremely frustrating. Removing any mistakenly laid track is a nightmare. Plus the whole boat aspect is pretty messed up. Please update so that the demolish/bulldozer can remove track. Why do we even have the bulldozer if all it can remove is trees? Might as well have just given us a chainsaw! 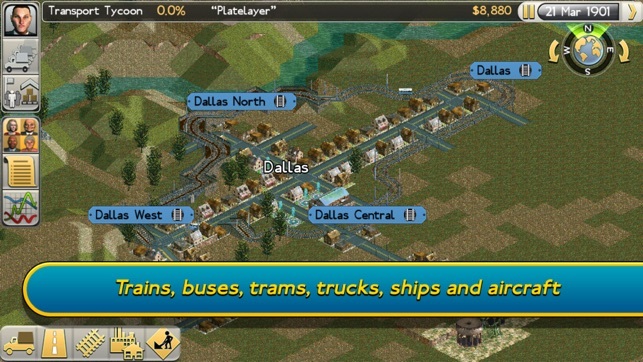 Also make it so boats can refuse certain items, so they don't get caught running all over the map rejecting large shipments just because they're carrying four units of food! In all honesty, I love this game but those couple features have irritated me to no end. Thanks! Been a fan of TTD for a long time and this game definitely captures that overall feel. 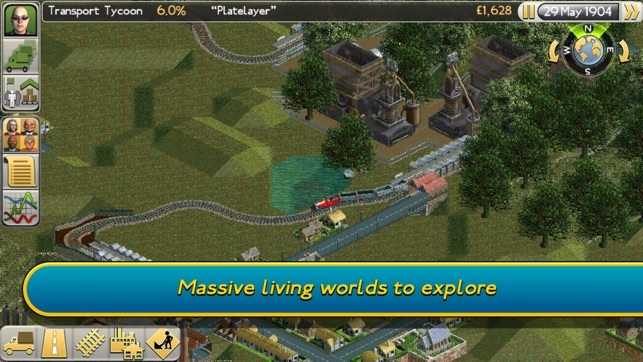 I could play this for hours but one flaw that sticks out is the horrible path-finding AI. I would set up a road path that connects three towns and it’s very straight-forward. I would have a bus that would touch each town, and it would appear it would go from the first to the second. I expect it to go to the third but instead it turned back to go back to the first town. Why would it do that, I don’t know. This always happens the first time around, which leads me to think that it’s orders that it’s following doesn’t get updated.